If you’re a fan of CD Projekt Red – creator of The Witcher series of RPGs – then you’re no doubt looking forward to the studio’s next huge game, Cyberpunk 2077. Unfortunately, it seems we won’t be seeing any more of it this year as it’s been announced that the game won’t be present at this year’s The Game Awards, which take place on December 6. The Game Awards are usually the last chance in the year for game companies to either announce new games or show footage of upcoming ones we already know about. The fact that CD Projekt Red won’t be there suggests there won’t be anything new on Cyberpunk 2077 until 2019. It was CD Projekt Red’s community manager Marcin Momot who made the announcement on Twitter today. “We’re looking forward to seeing all the reveals and announcements during this year’s @thegameawards, however we’re not going to be showing anything there ourselves. We’ll share more details about @cyberpunkgame when we’re ready,” reads his tweet. We’ve already been told by the awards show’s head honcho Geoff Keigley that there will be more than ten games announced during this year’s show – one of which we’re expecting to be Alien: Blackout. We also know the nominees for this year’s awards, which include Monster Hunter: World, Assassin’s Creed Odyssey, and Celeste. 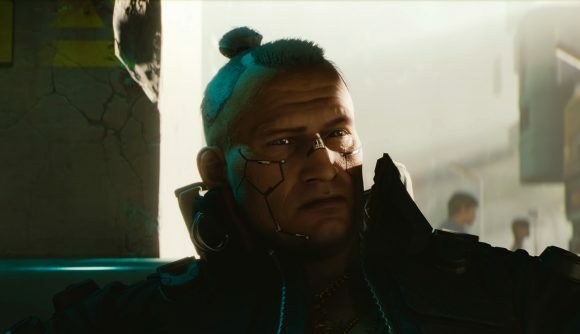 We’ve seen plenty of Cyberpunk 2077 this year due to the footage that was originally on show behind closed doors at E3, which was then released online shortly after Gamescom. That footage nearly ran for an hour in total, giving us all our first look at Night City, body mods, and gunplay. That’ll have to tide you over until next year – and, by the way, it might be coming out in 2019. We’ll have to wait for official word on that release date, of course, but the evidence is stacking up.